By default, Veeam Backup & Replication uses native Microsoft Hyper-V quiescing mechanisms to create a transactionally consistent image of VMs. You can disable VM quiescence. To do this, select the Disable guest quiescence check box. 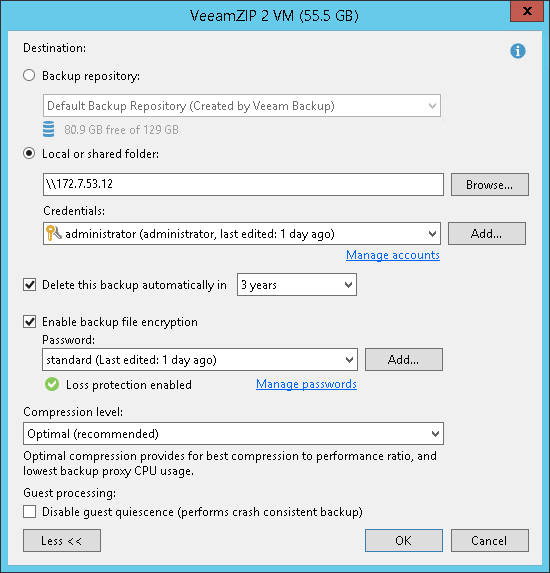 In this case, Veeam Backup & Replication will create a crash-consistent VM backup.